Police have objected to a licensing application for an Ashfield pub as the proposed supervisor has an unspent conviction for assault. Oliver Rimington, 25, pleaded guilty to a charge of assault occasioning actualy bodily harm at Derby Crown Court in 2015. An application for him to be the premises supervisor at the Nab Inn in Hucknall reveals that the assault took place during an argument over a mobile phone, when Rimington attacked the victim by headbutting her twice, punching her in the nose, biting her cheek and pulling her hair. 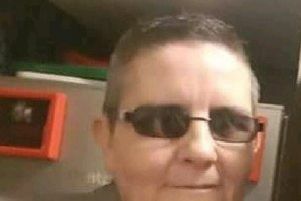 At court, Rimington was given a suspended imprisonment of 14 months, and ordered to pay £750 compensation and £250 costs, and also ordered to complete 100 hours of unpaid work. Rimington’s conviction will not be spent until 2020. When the application was submitted to Ashfield District Council, police commented that the holder of a premises licence is expected to ensure the premises are responsibly managed. Rimington already holds a personal licence for the sale of alcohol, but would need a premises licence to supervise a bar. Personal licences allow the sale of alcohol on behalf of any business that has a premises licence.